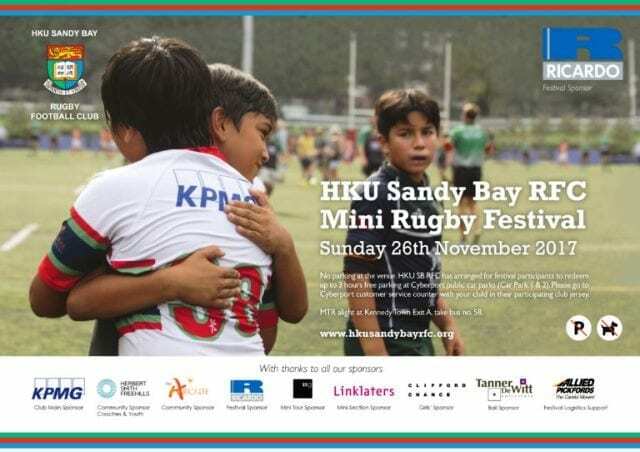 Mini rugby teams from all over Hong Kong will be competing in the HKU Sandy Bay RFC Mini Rugby Festival at Cyberport this Sunday 26 November. We’re very proud to announce that we are once again sponsoring the festival this year, this time as Ball Sponsor! On Sunday 5 November we gave out Tanner De Witt balls to teams present at USRC Tigerfest. These balls will be the same ones used in this year’s Sandy Bay Mini Rugby Festival. Good luck to all the competing teams!